The guided-missile destroyer USS Wayne E. Meyer on Thursday will depart Naval Base San Diego for an independent deployment to the western Pacific Ocean, Navy officials announced Tuesday. The 509-foot-long Meyer carries a crew of about 300 officers and enlisted sailors, who will provide maritime security, according to Naval Surface Forces public affairs office. 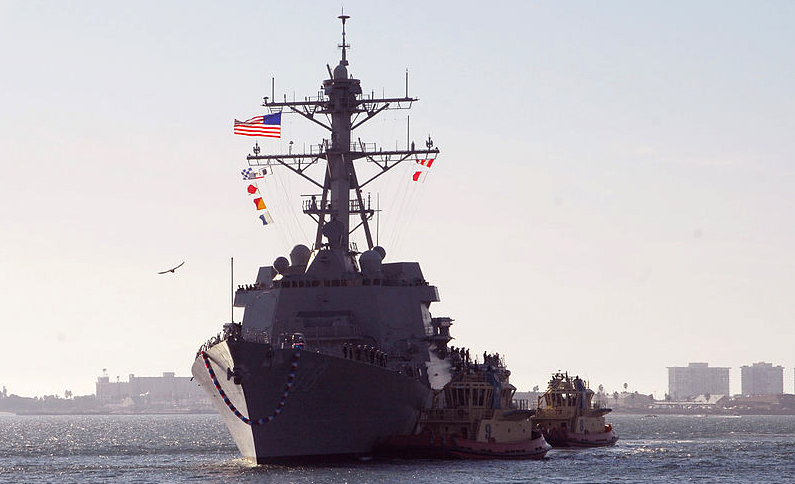 The Arleigh Burke-class ship was named for the late Rear Adm. Wayne E. Meyer, who is regarded as the “Father of Aegis” for his service as the AEGIS Weapons System Manager and later his development of the AEGIS Shipbuilding Project Office.